SEO is a tricky practice for most entrepreneurs. While some people claim to have had a lot of success with it, others are apprehensive about pursuing an SEO strategy. 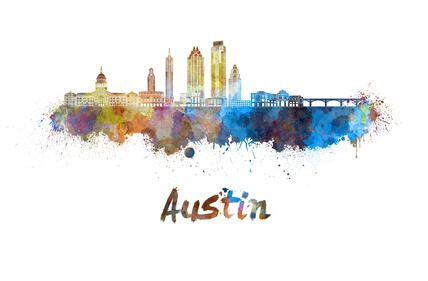 We know in an area like Austin, Texas, busy professionals want to promote their organization as effectively as possible. With tools like proper search engine optimization, content marketing, link building and more, we can help you build awareness in the area for your business. Austin is a thriving city, and one of the largest in the state of Texas. According to the state’s Almanac, 2015 Census data pegs the city’s population at just below 900,000, and the city is also known for fast population growth. A dense population means more advertisers in the area are looking to break through with SEO. We know it can seem like a futile struggle to improve your search-engine standing – especially if you’re not taking the right approach. Search-engine optimization is something organizations can’t afford to be without. In a busy area, you’ll need to constantly strive to keep your online visibility and bring in customers who may not know about your organization yet. SEO Website Design: What is It? A website must be built properly for the same reason a business must be built properly – to meet the needs of the customer. Optimizing websites with quality content means creating the architecture with an SEO strategy in mind (see our web design services). When you have on-page content created with inbound marketing and link building in mind, it is much easier for people to discover your website in search results. Even a good strategy will fail if a website is not designed to work with the strategy. We know the primary purpose of SEO is to raise awareness. Improving search-engine performance is one of the quickest ways to reach new people at any business. A quality search engine optimization strategy gives you valuable leads and helps you offer your services to more people. For marketing purposes, the result is similar. However, SEO can help your marketing by providing valuable data about what people are looking for. Once you know what works, you can expand on it and ride the wave of success. Sometimes getting started is the hardest part, but proper content marketing is much easier with this type of data. In a crowded digital landscape, people usually know what they’re looking for and don’t waste time finding it. Digital marketing works because online mediums allow creators to customize content toward users. While traditional advertisements can sometimes be off-putting to users, content marketing is designed to reach a specific demographic. By telling this demographic how a product or service can solve their problem or appeal to them, the promotion is more successful. SEO connects you with your audience more effectively. The two-way relationship means everyone wins. To get started with an SEO strategy for your website, contact Best Dallas SEO today! Backlinks are still a major quality signal to search engines. If you have relevant, high-quality links from legitimate sources, you have an edge over your competition. On-page SEO is not enough in most cases. As part of your SEO campaign, we provide quality link building services that are unmatched in the online marketing industry. You will get links that are relevant, qualitative, and provide an endorsement to your business. We are an Austin SEO company offer a suite of services for small business owners. Each client has a story, each business has a unique selling proposition. It’s our job to make sure the world of search knows about you. We help you show up where the traffic is most valuable.